Sometimes you just want to play on a mobile casino that has your currency, your language and the feel of home. Forget awkward currency conversions and find the perfect mobile casino for you. Most mobile casinos online will allow you to register (perhaps with a free no deposit bonus), deposit and play. But you have to ask yourself… do they know what is best for me? Will they have mobile slot games I can play in my country of residence and the right currency? One of the questions we are often asked is a simple one. Which is the best mobile casino recommended for the likes of me living in [insert country here]? We couldn’t possibly list every country in the world. Even if we did, we can only recommend casinos for mobile gambling we’ve played on. We are not honestly sure what is a good German casino, and we won’t lie to you and say that we do. 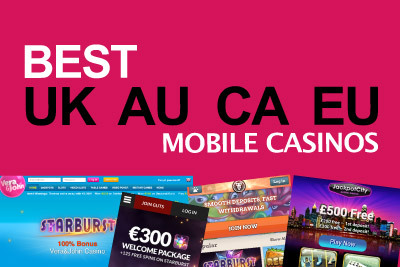 However, amongst our travels and dealing with a large amount of Android, iPad and iPhone casinos, we’ve come to recognise what makes an overall good mobile casino site and how the experience should be unique to players from different countries. So we have investigated further and we’ve made a judgement call of which is the best mobile casino we would choose as UK, Canadian, European and Australian slots players. We are aware that Europe is a big place, so bear with us and read our reasoning below. Our second top priority was to ensure that all the mobile casino apps and websites work equally as well as Android phone casinos, Android tablet casinos, iPhone casinos or iPad casinos. So rest assured, these will work. Trying to find Aussie mobile pokies and pokie machines hey? Well, it’s not easy. Good Australian mobile casinos are hard to find, with so many on the market giving you only Microgaming pokies and nothing else. We love Microgaming, don’t take us wrong, but choice is best when it comes to mobile pokie machines, as there is simply not as many of them out there. 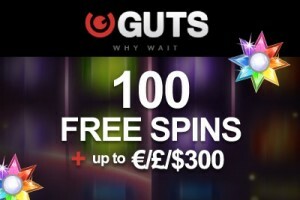 GUTS mobile casino: AUD$300 in bonus money over three deposits + 100 free spins on Starburst. Start playing at Guts. Runner up? If you are after the likes of Mega Moolah and Thunderstruck II only, Jackpot City is one of the best Microgaming Australian mobile casinos around. Runner up? 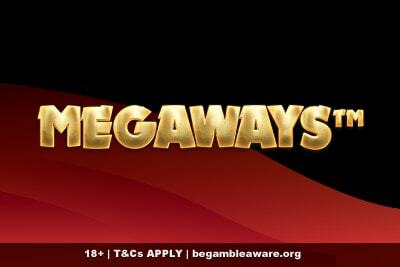 Not a fan of Microgaming slots? Fear not, we have an excellent second choice who accept CAD$ and have over 5 different game providers giving them over 100 mobile slots and games. They are new in Canada but generous, it’s Guts mobile casino. Look, we get that Europe is a big place. But if we were to put ‘Best German mobile casino’, ‘Best Swedish mobile casino’, ‘Best Norwegian mobile casino’… we would be here all day. So we picked a casino for mobile phones and tablets that ticks all our boxes and is welcoming to players from all walks of life. 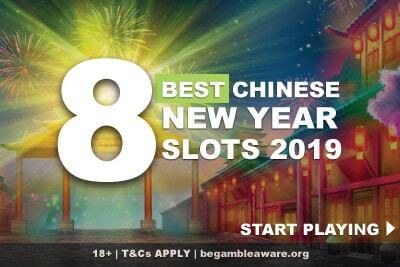 Best of all, it continues to improve month by month, adding extra languages, payment methods and casino bonuses for all. Runner up? Covering all the languages above, with the addition of Portuguese and Spanish, Vera&John mobile casino is an excellent alternative choice for slots players on the continent. Still not satisfied? Click here to view our full list of mobile casinos reviews. 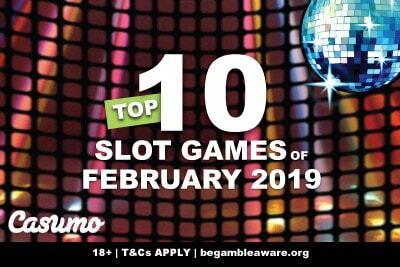 Alternatively, why not find your favourite mobile slot games and see which of our casinos has them? On each of the mobile slots we review you can find exactly where to play.